Join Penny Mickelbury and BLF Press as we celebrate the launch of Penny's new collection of short stories, God's Will and Other Lies. Books will be available for purchase and signing. Snacks will be provided from the amazing kitchen of the Urban Foodie Feed Store. Did you love Two Moons? If so, come hear Krystal A. Smith talk short stories at Greensboro Bound. She'll be on a panel with two other North Carolina authors. See you there! 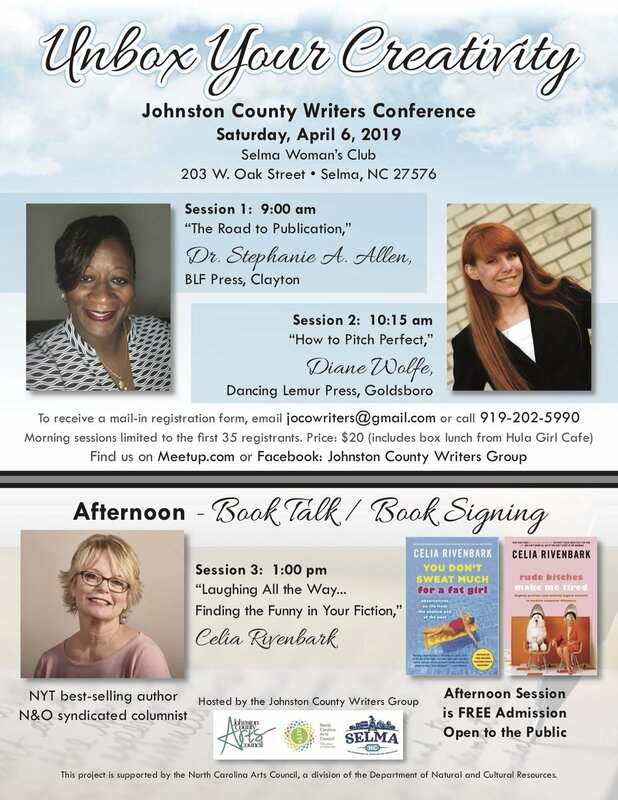 NCWN Spring Conference - Slush Pile Live! "How does Slush Pile Live! work? Beginning at 4:00 pm, attendees may drop off either 300 words of prose or one page of poetry in the room of their choice (prose and poetry will be read in both MHRA rooms 1214 and 1215). The author’s name should not appear on the manuscript. At 5:00 pm, a panel of editors will listen to the submissions being read out loud and raise their hand when they hear something that would make them stop reading if the piece were being submitted to their publication. The editors will discuss what they did and did not like about the sample, offering constructive feedback on the manuscript itself and the submission process. All anonymous—all live!" BLF Press will be in attendance at the North Carolina Writer's Network Fall Conference. If you're in the area, make sure to join the "writingest" state at its semi-annual literary conference. Join us in Washington D.C. for the OutWrite LGBT Book Festival. BLF Press publisher S. Andrea Allen, and BLLC members La Toya Hankins and Renee Cronin will be participating in a reading panel. BLF Press will be exhibiting, and all of your favorite BLF Press titles will be on sale. To learn more about OutWrite, click here. BLF Press will be an exhibitor at Shades of Pride, an annual Black Pride celebration in Durham, NC. If you're in the area, come out and see us! We'll have all of your favorite titles on sale and lots of goodies to giveaway. Starting March 12, I'll be teaching an online class about publishing. I'm really excited to be collaborating with the Kitchen Table Literary Arts Center as a teaching artist, and I hope that you'll consider joining me. To learn more about the Kitchen Table Literary Arts Center, click here. To register for one of their amazing classes taught by women of color, for women of color, (including mine), click here. 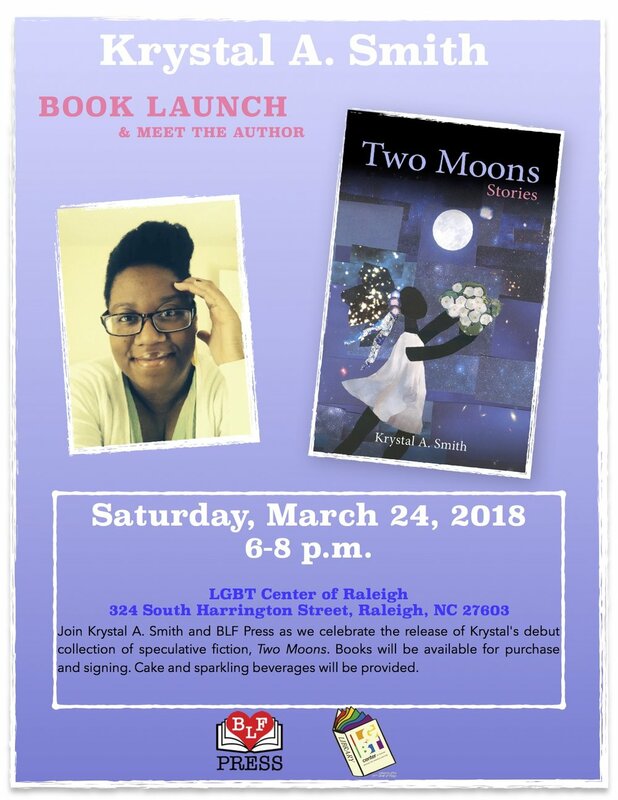 The LGBT Center of Raleigh Library invites you to a special "Meet the Author" event featuring S. (Stephanie) Andrea Allen, Ph.D., a native southerner and out Black lesbian writer, scholar, and educator. The afternoon will include an author reading, followed by a Q&A discussion led by local author LaToya Hankins (Single BF Seeking.. and K-Rho: The Sweet Taste of Sisterhood). Book signing and dessert reception to follow. BLF Press will be one of many exhibitors at the OutWrite Book Festival in Washington, D. C. on August 6th. If you are at the festival, please stop by and see Stephanie and Krystal. We'll have signed copies of Lez Talk for purchase and goodies to give away. Meet the Editors! Join us in Memphis for an intimate discussion with Lez Talk co-editors S. Andrea Allen and Lauren Cherelle. This event is co-sponsored by SisterReach, MGLCC, and LesbiFriends. Join us for an intimate reading and book signing at TheLRoomBNB in Durham, North Carolina. Meet publisher and editor, S. Andrea Allen, and contributors LaToya Hankins and K.A. Smith. Meet the Contributors! Join us in Atlanta for an intimate reading with Lez Talk contributors LaToya Hankins, Claudia Moss, and Sheree L. Greer; and editors S. Andrea Allen and Lauren Cherelle. Meet the Contributors! Join us in Greensboro for an intimate reading with Lez Talk contributors K.A. Smith and LaToya Hankins; and editors S. Andrea Allen and Lauren Cherelle. Join us in celebrating the release of Lez Talk and meet and chat with your favorite contributors! Be sure to bring questions about your favorite characters, books, or even the authors themselves. We look forward to meeting you! Click here to join the Online Launch Party!